Ben Hill Renovations proudly provides the beautiful city of Alpharetta, GA with our quality residential and commercial exterior renovation services. From Alpharetta siding installer to Alpharetta deck builder, you won’t find anyone else with as much skill and experience as us. Alpharetta is home to more than 65,000 residents and swells to more than 100,000 each workday as people travel to from far and wide to get their offices throughout the city. Alpharetta is now Georgia’s 12th most populous city, boasts some of the best schools in the United States, and is as the Technology City of the South due to the large number of tech-focused companies that call Alpharetta home. Windows play a large role in the curb appeal of any resident’s home, and with the forward-thinking community of Alpharetta, windows that are both energy-efficient and aesthetically pleasing is a must. Let us help you find the best windows to suit your interior and exterior design needs. We can provide you with windows that are visually attractive, will save you money on energy bills, and maintain better air quality within your home. 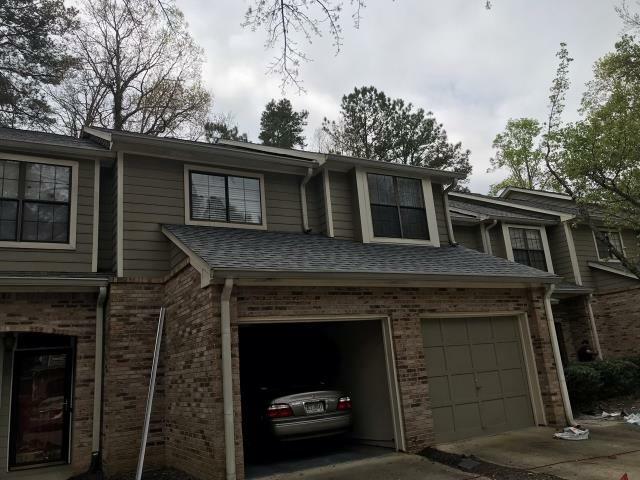 Our Alpharetta siding replacement, repair, or installation services will make your building or home stand-out from the rest. Broken or faded siding lowers the value of a home and communicates a lack of care for the property. Choose from Vinyl, Cedar Ridge, Fiber Cement, and Board and Batten Siding and give your house a facelift and a total new feel with our Alpharetta siding services! Alpharetta roofs installed or replaced by Ben Hill Renovations are strong and durable. A shingle roof should have a lifespan of about 20-25 years under normal conditions- that is, if it is installed correctly in the first place. You can have peace of mind that, when you hire Ben Hill Renovations for your Marietta Roofs, we won’t send amateurs that will cut corners and do shabby work. We only send skilled and experienced professionals to install, repair, or replace Asphalt Shingle, Synthetic Tile, Clay Tile, Wood Shake, or Metal Roofs. Building Alpharetta decks is one of our favorite jobs! Creating a custom deck that matches the beauty of your home is what we love. Whether you are looking for a wonderful place to sit and relax alone, to spend time with family, or even to have a barbecue party with all your closest friends, the deck is the perfect place to go! We’ve never heard of anyone who doesn’t love the idea of having a gorgeous deck built onto their home. As your go-to Alpharetta deck builder, we can help you keep your home beautiful, fresh, and functional! Our Alpharetta Exterior Renovations help keep the city beautiful! Promote growth, increase property value, and boost your confidence in your home by letting Ben Hill Renovations handle all your exterior renovation needs.